Like founder, Harland Stonecipher, it was a car accident that led Randy Moore to this incredible opportunity. Working as an Oklahoma State Trooper, Randy was involved in a high-speed pursuit that left him seriously injured. It was during this recuperation time and while he was going through eight neck and back surgeries along with four shoulder surgeries that Randy’s parents encouraged him to reconsider the LegalShield opportunity. At that time, Randy had been with the Oklahoma Highway Patrol for 17 years, making approximately $35,000 per year. His wife, Patricia, had been a realtor for 13 years. Now, Randy and his wife are full time LegalShield. Randy and Pat were convinced that LegalShield was the opportunity for them because of the incredible renewal income that he has seen his parents accrue. Now they themselves enjoy a “Six Figure” retirement! 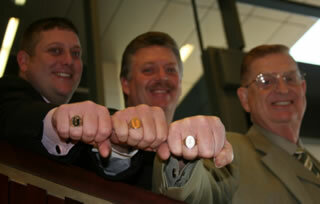 In December 1999, while working part time, Randy & Pat earned the privilege of wearing the prestigious LegalShield six-figure income ring while earning more than $100,000 in a 12-month period. They were also able to retire and work their LegalShield business on a full-time basis. In 2000, they achieved the level of Platinum Executive Directors, and were featured in the book, “The Pre-Paid Legal Story”. In 2004 they earned their Platinum Jacket. In 2006, they became the second generation of their family and the 58th Associates in LegalShield to become members of the Millionaire Club. Even though Randy has recently had some serious health issues their income has rapidly increased and they are running hard for their $250,000 ring. 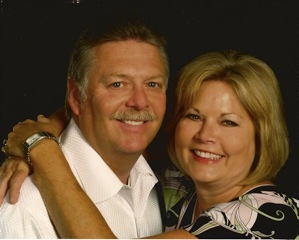 Randy and Pat are living an incredible “debt-free” lifestyle in Durant, Oklahoma. They have four children – Chris, Brandi, Jeremy and Joseph (whom are all LegalShield associates) and six incredible grandchildren. They are especially proud of their son Jeremy and his wife Stephanie, for being $250,000 ring earners, achieving the level of Platinum 7 Executive Directors, for personally writing over 11,000 memberships and for now being the third generation of the “Moore” family to join the Millionaire’s Club.